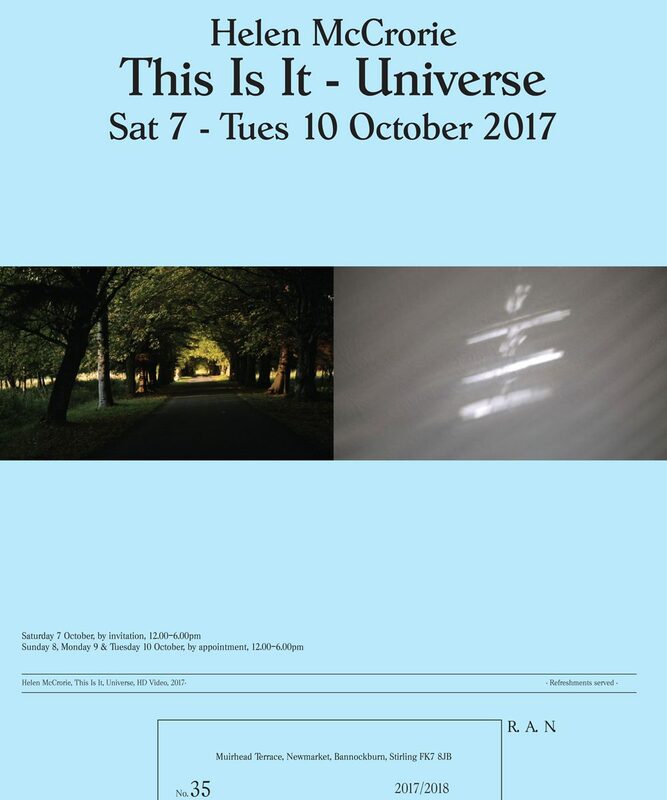 THIS IS IT – UNIVERSE, video installation by moving image artist Helen McCrorie, October 7-10 2017. There is an anomalous light feature here in the flat: a rectangle of daylight from a narrow windowpane above the entrance, that throughout the day projects its shape, like an inverse shadow, onto decorative etched-glass panel of the interior door or when the door is left open forms a bright shaft of sharp diagonal projected light. Exploring the complex ethics of an encounter, the gaze, otherness and connections between filmmaker, subject and viewer. Using a confessional tone, exploring my own motivations and deceptions, in reflecting on intimate filmed conversations with a crystal healer in her gift shop. The crystal healer, like the artist has an uneasy relationship with society’s normative and economic constructs. Playing with ideas of mainstream scepticism of contemporary/conceptual art. As an artist, I can swing from fervent belief to self-doubt about the positive and transformative value of my metier. The crystal healer’s aggrandised claims are belied by her contradictions, vulnerabilities and her sense of humour. Passages of frank or impassioned portrait are punctuated with observations of the simple play of light on surfaces. Connections between film and magic in the emergence of cinema.